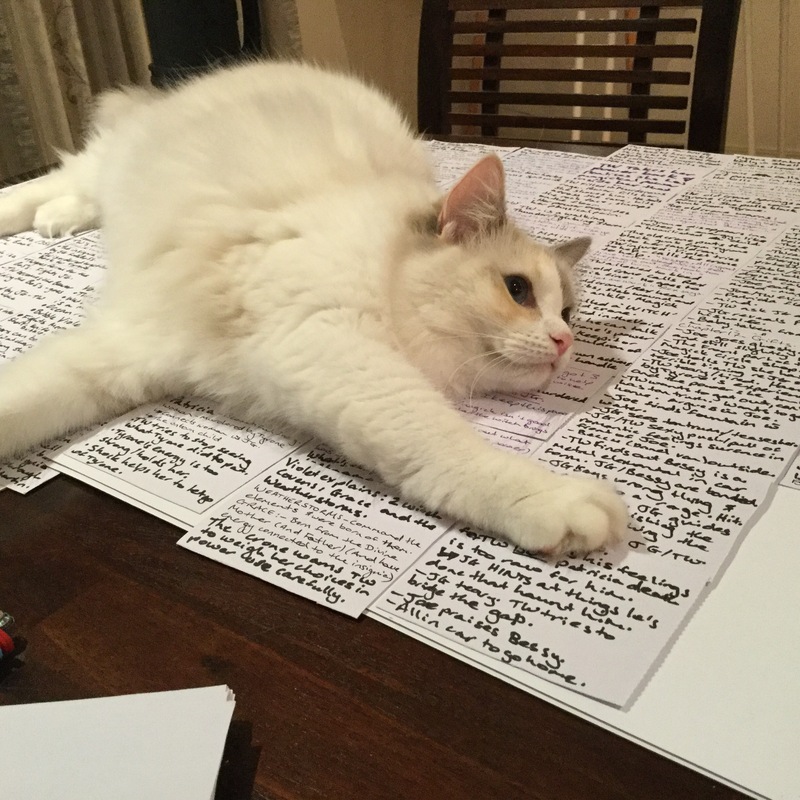 Tonight, I’ve been writing up my outline cards for Chapters 1 through to 23 of The Misadventures of Tuppence Weatherstorm. And I have a little helper. 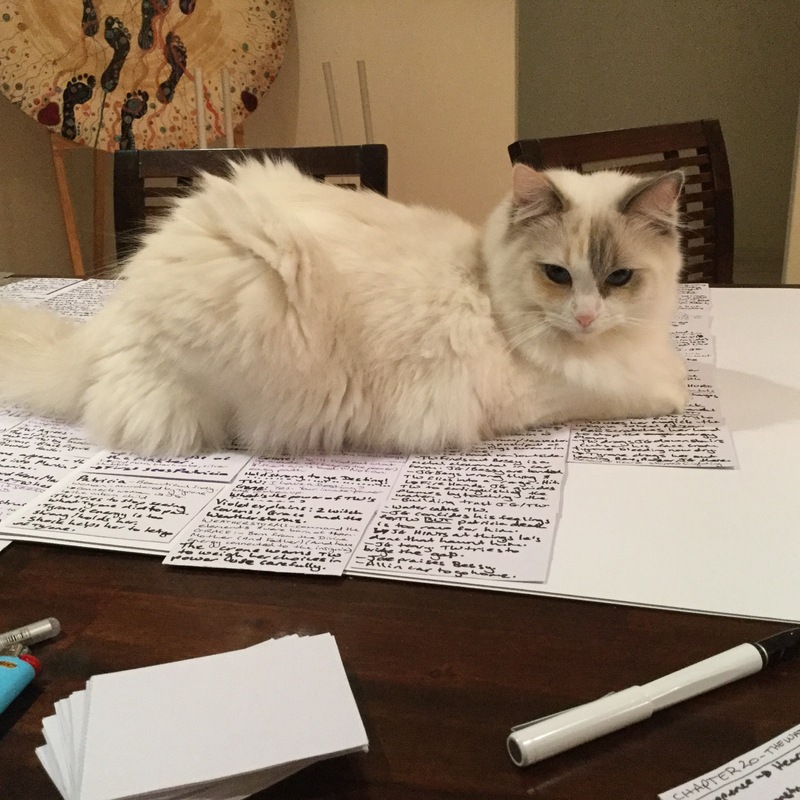 Miss Poppy is The Novelist’s Helper! I’m pretty sure she’s been giving me cat advice on the ragdoll cat in my story. She tells me to relax and have fun writing. Giving me a show of her belly. 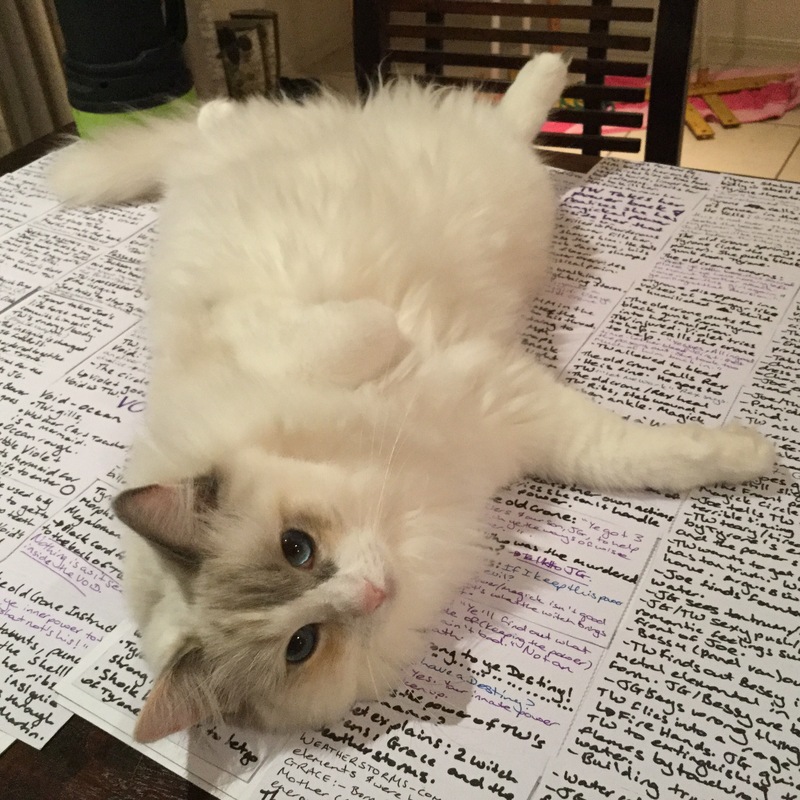 Here she blesses my work in progress with her Ragdoll belly. I do love my furry companions. 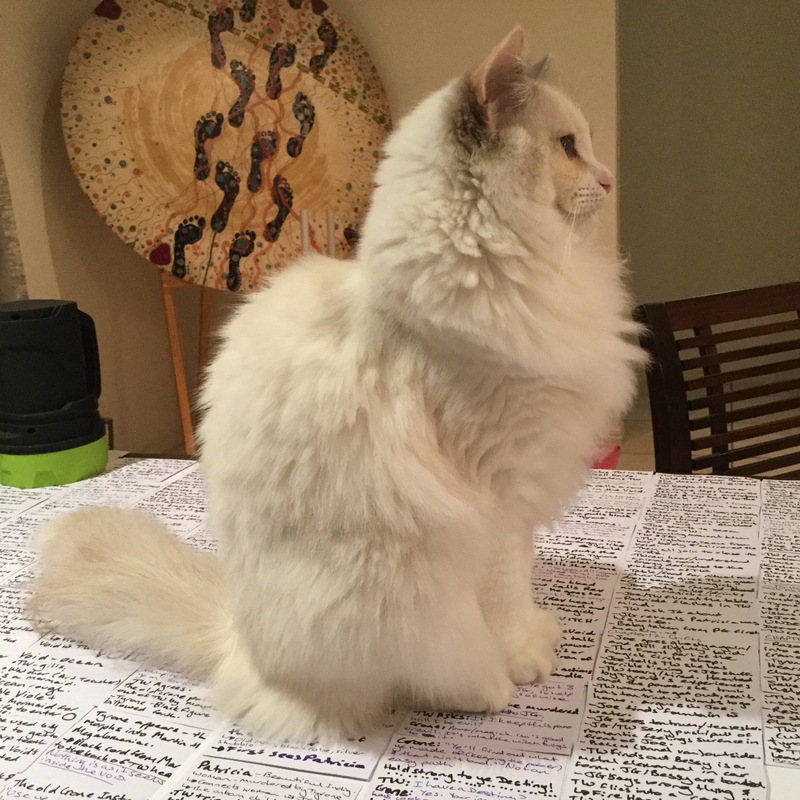 I’m sure my poodle would be lying all over my outline cards if he had an opportunity, but tonight, it is Miss Poppy’s turn to shine and give the novelist at work some much needed feline encouragement.